The defendant I am seeking the default judgment upon is _______________________________________________. Service on the defendant was perfected on the ____ day of ________________________________ 20_______. The proof of service was filed with the clerk of this court on the _____ day of _____________________, 20________. and filed with the Court. website in support of this affidavit. 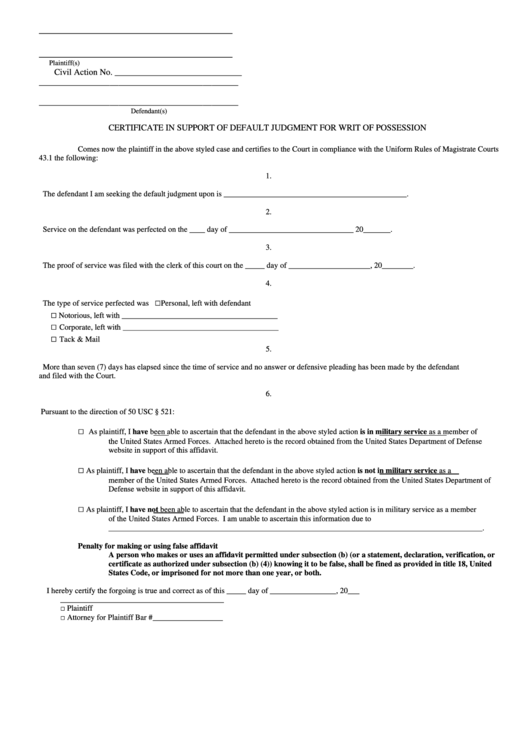 Defense website in support of this affidavit. States Code, or imprisoned for not more than one year, or both.